Rhode Island Governor Gina Raimondo is urging school districts to utilize a $10.5-million school construction fund – the School Building Authority Fund – to make immediate school security repairs. 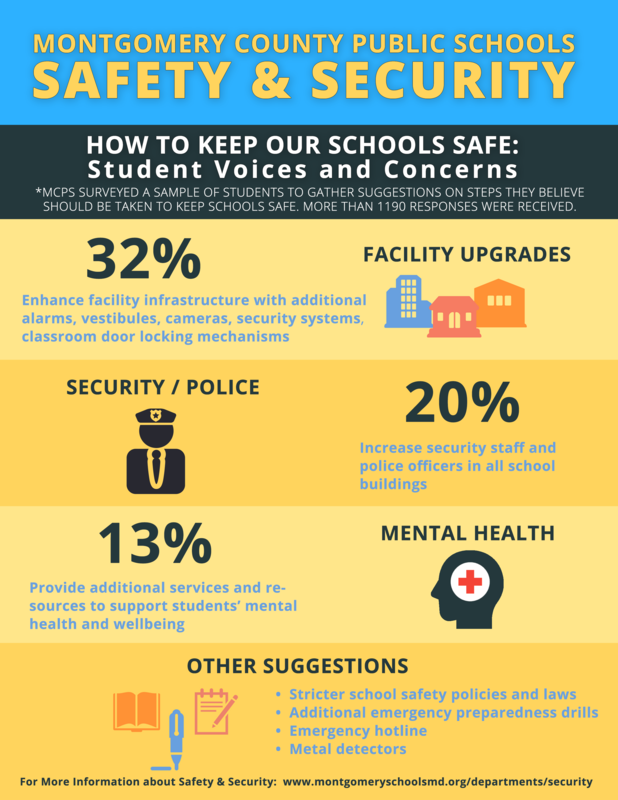 A recent survey of more than 1,100 Montgomery County Public Schools (MCPS) students found that about a third want school security upgrades. New Hampshire lawmakers want to pay $100,000 to families of teachers and other school workers killed in the line of duty. The Michigan Education Association (MEA) released results from a new statewide survey of its members that found an overwhelming majority oppose arming educators. Nearly three-quarters of U.S. school teachers oppose the idea of training certain teachers and staff to carry guns in school buildings. Under a package of school safety initiatives proposed by Ohio Governor John Kasich, state schools could see additional grant money for security upgrades and face penalties for failing to submit safety plans.